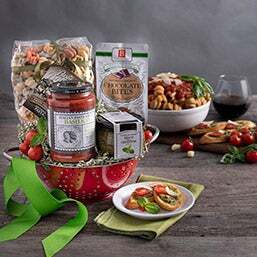 Help them live la dolce vita with any of our delicious Italian gift baskets. 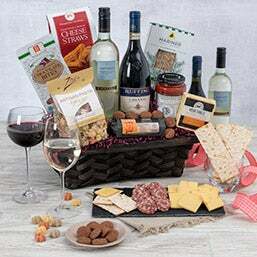 Stocked with rich oils, decadent pasta sauces, artisan handmade pasta, and luxurious wines, our Italian gifts are guaranteed to make a good impression. We know they taste great. How? Because we personally taste test all of our products to make sure they’re phenomenal. Award winning pastas? Check. Award winning bruschetta? Check. Award winning… yeah, you get it. 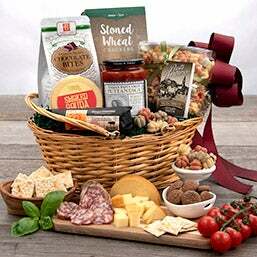 Our Italian food gift baskets are loaded with gourmet, high-end products and nothing else. 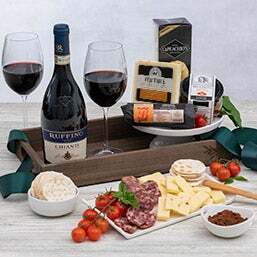 Seeds of Italy - The key to authentic Italian dishes is authentic ingredients! Find out which herbs, fruits, and vegetables are crucial to the amazing Italian cuisine! Eating Italian - Thousands of years ago, Italy didn’t have pasta or tomato sauce. Crazy, right? Click here and find out more about where iconic Italian food comes from!